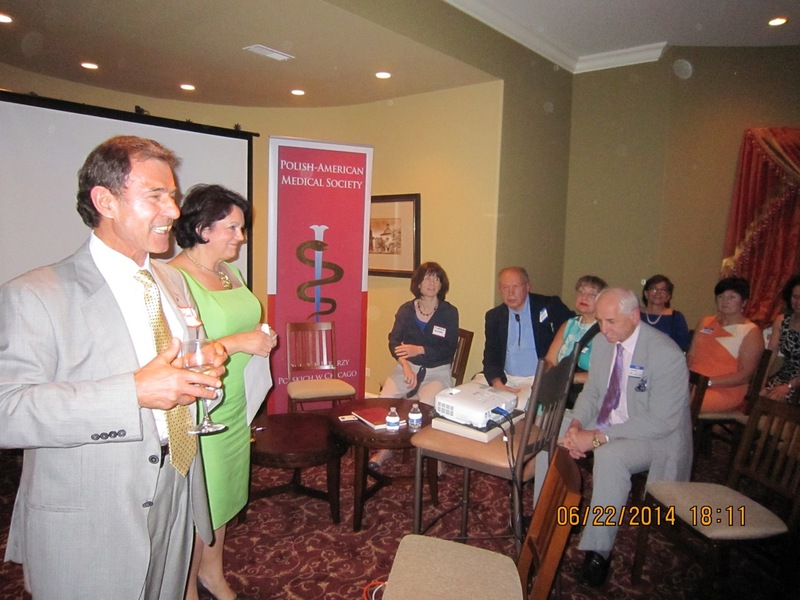 On June 22, 2014, seventy-eight members of the Polish-American Medical Society met for a quarterly meeting at the residence of the PAMS President Dr. Kornelia Król. We had the honor to host this years special guests, Prof. Ramaz Kurashvili and Dr. Elena Shelestova, who visited from the National Center for Diabetes Research in Tbilisi, Georgia. 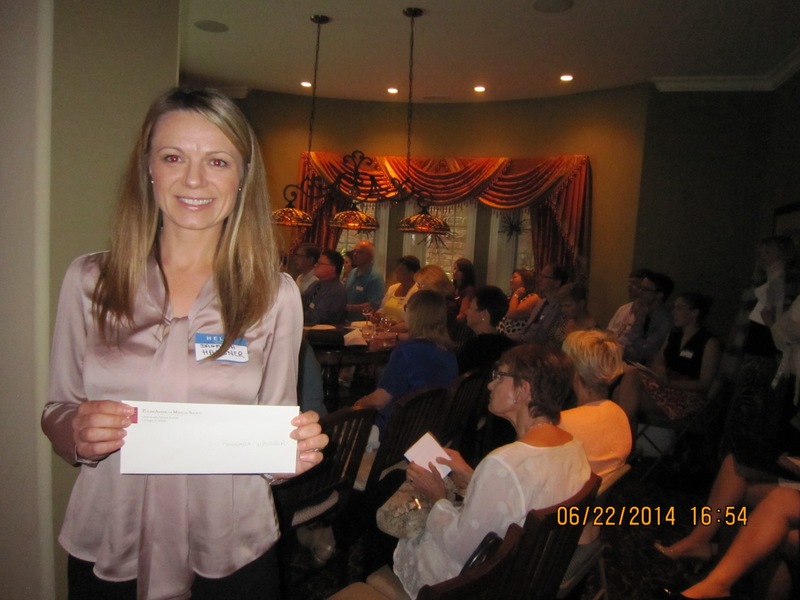 Ms.Anne Zenzer represented the Cebulski Trust, which donated funds for student scholarships. 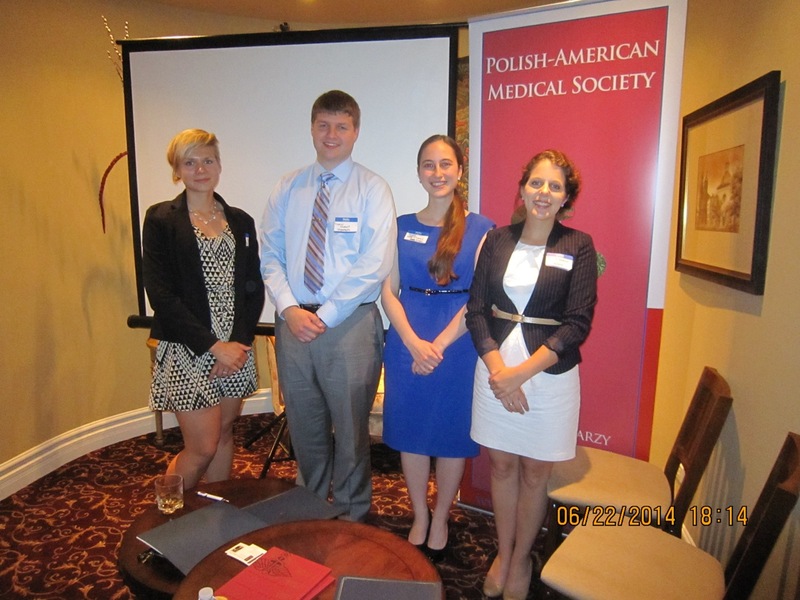 Joanna Tomaszewski and Lukasz Sewera represented the Society for Polish-American Pre-Health Professionals, which organized the “Lives in Medicine Conference”. 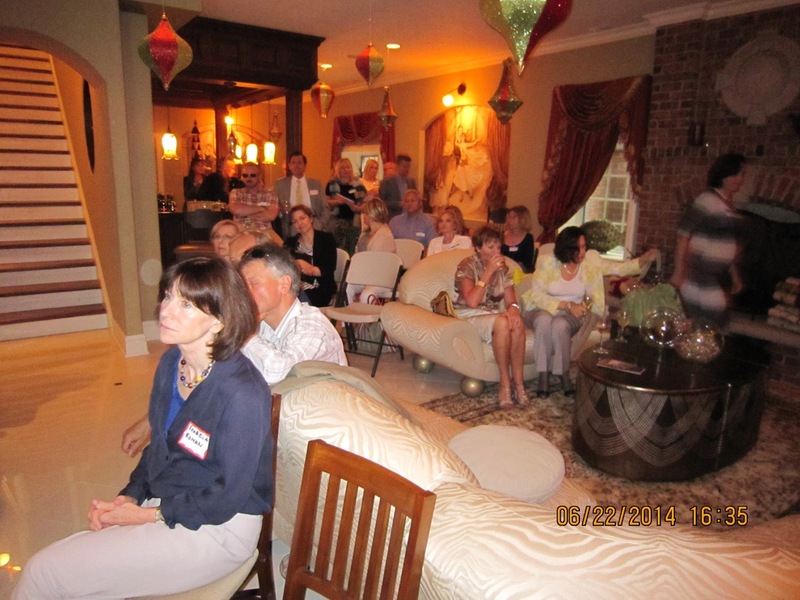 We also welcomed new PAMS members: Drs. Ewa and Dariusz Borys, and Dr. Ewa Wójcik, pathologists from Loyola University Medical Center, Dr. Arthur Tokarczyk, anesthesiologist from NorthShore University Health System, and Dr Piotr Witkowski, transplant surgeon from The University of Chicago. We are very excited that they have joined our society. 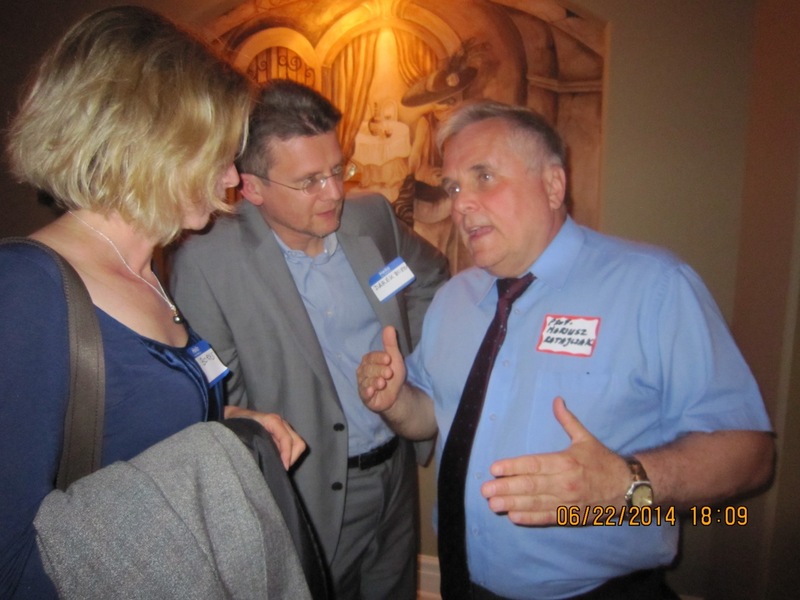 We welcomed new board member Dr. Jagoda Samulak, who replaced Dr. Bartek Nierzwicki. 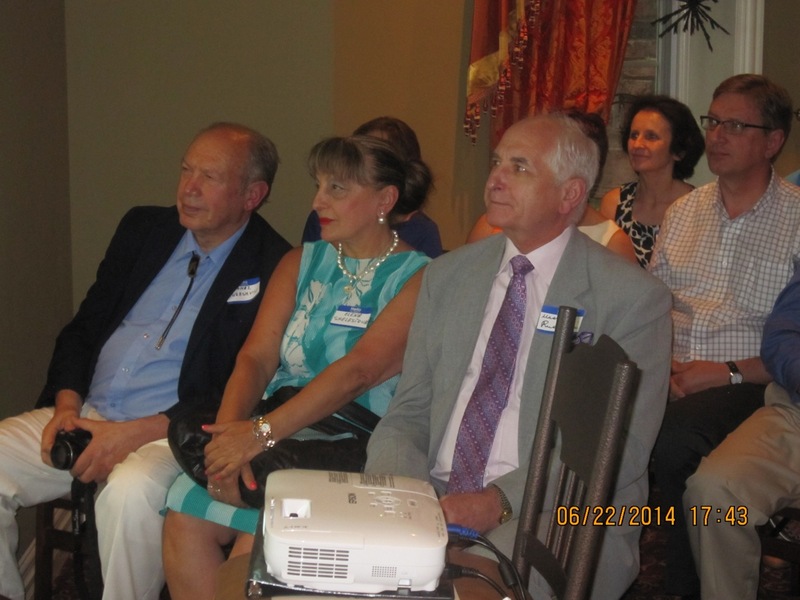 A report summarizing PAMS activities in last 3 months was presented by Board President, Dr K. Krol. Besides traditional participation in Chicago Polonia events, and sport events, we initiated one very new project to increase cooperation between PAMS and academic institutions in Chicago. Our goal is to help medical students studying abroad in finding medical clerkships and observerships in American hospitals. This in turn might improve chances of admission into limited residency positions. Cooperation with The University of Chicago has been especially fruitful, thanks to involvement and personal help of some academic physicians in this university. PAMS is in the process of recruitment for a urologist from Poland for fellowship in urological oncology offered by University of Chicago’s Urology Department. The treasurer, Dr Adam Cios, presented a short budget summary. As a means of increasing revenue, physicians will be able to place advertisements on our website for a cost of $50.00 per year. 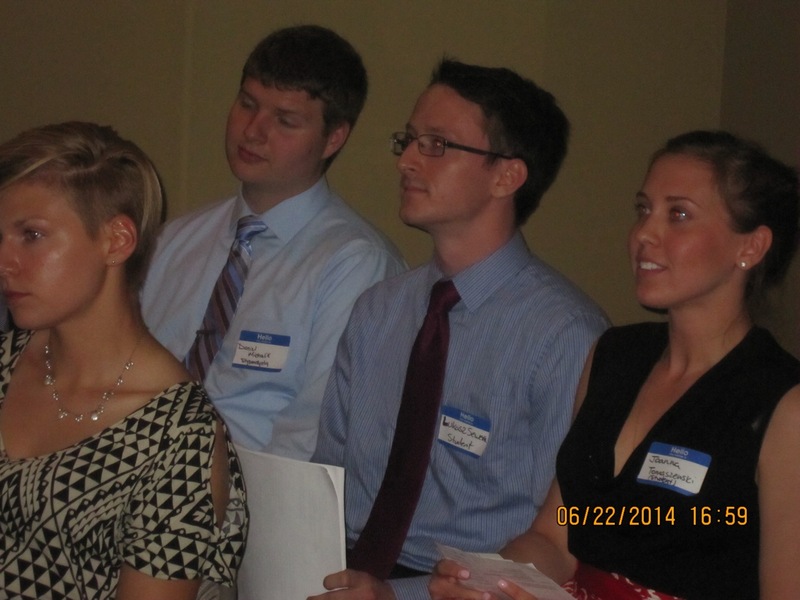 Traditionally, the June quarterly meeting is devoted to present scholarship awards for medical, dental and veterinary students of Polish descent. President of PAMS Scholarship Committee, Dr. Ewa Radwańska handed out checks and diplomas to 11 students studying in US and in Poland. 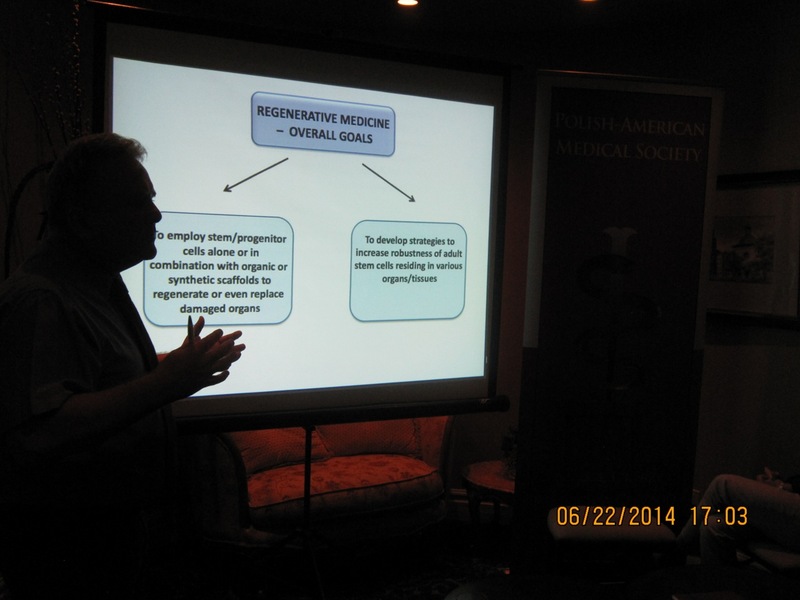 Later in the evening, we were privileged to listen to a fascinating lecture “Quo vadis regenerative medicine” given by professor Mariusz Ratajczak from the University of Louisville Kentucky. He is an internationally known specialist in the field of stem cell research. The meeting ended after a light and healthy meal accompanied by many stimulating and warm conversations between PAMS members and guests. 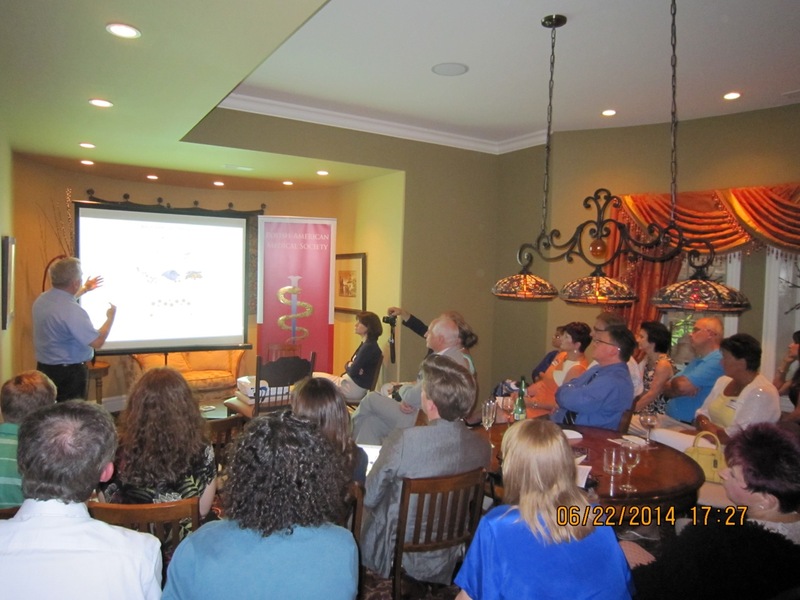 Meeting was sponsored by Dr. Kornelia Król and PAMS. In recent months, PAMS in Chicago has been faced with an increased number of inquiries and requests for help in finding residency positions and student clerkships. Though it is not a new issue since most of our members are physicians of Polish origin and international medical graduates (IMGs). IMGs have always had more difficult access to residency positions than graduates of American medical schools, particularly in surgical specialties that are very competitive even for the best American graduates. In recent years, this situation has been further impacted by many new factors. We monitor these changes and aim to acquire and disseminate accurate and current information about these trends. We are committed to helping our students as much as we can. Among us are very dedicated doctors who understand “the system” and work as faculty members at Chicago universities, training students and residents, However, their experience or influence is not enough. In recent years, residency education in the US has been relatively stagnant, but medical school enrollment has not. Many medical schools have expanded and additional schools have opened. The number of American graduates will grow from approximately 18,000 in 2000 to almost 28,000 by 2020. But this growth will not result in increased numbers of practicing physicians. It simply displaces international graduates. In only four years, there will be more American medical graduates then residency positions, a circumstance that has never existed before. In 1997 the US Congress capped Medicare funding for added residency positions. Moreover, if Congress also decreases funding for existing residency education, the number of residency positions will likely decrease again. While the interest of young Polish doctors in immigrating to the US is declining because of opportunities within the European Union, we have been observing an increasing number of American students of Polish origin seeking medical education in Poland and wishing to return to the US. Many medical schools in Poland which have opened English divisions with 4 and 6 year programs actively recruit US and Canadian students. For the most part, their intention is to return to the US later and apply for residency programs through the Main Residency Match. While all medical schools in Poland are accredited in the USA and provide excellent education, their graduates (even American citizens) are considered IMGs; and in this competitive environment they have a disadvantage. They not only compete with American graduates but also with other IMG’s who are often extremely well prepared to pass the required USMLE exams. Therefore the high USMLE score (>240) is of extreme importance for those seriously considering applying for the American residency position. 2. We contacted directly several medical schools in Poland to provide them with realistic information and urged them to pay more attention to Polish-American medical students planning to return to the USA. Specifically we have met with Rectors from Poznan Medical University, Deans from Warsaw Medical University and from Medical University in Wroctaw. Some of the schools have already implemented measures such as introducing Kaplan preparatory courses to help students achieve better scores on USMLE. 3. We met with officials at the Ministry of Health in Warsaw to alert them to this problem. 4. We explored opportunities to obtain clerkships and observerships in American medical schools in Chicago for students studying in Poland. This is an extremely difficult and complex process that requires overcoming many legal obstacles, malpractice insurance and patient privacy issues, as well as availability and willingness of faculty members to participate in this process. Since official agreements between Polish and American medical schools do not exist, we are using our personal connections with universities in Chicago to facilitate this process. We are in contact with our academic colleagues at the University of Chicago, University of Illinois and Loyola University, and thanks to their understanding and good will, we are making progress in securing academic opportunities for medical students from Poland. 5. We are connecting with recent Polish IMGs who were successful in obtaining residency positions in the US and asking them to share any useful information that might be beneficial for students and future graduates. We appeal to any students or residents to contact us and share their experiences. I would like to thank PAMS Board members, particularly Dr. Ewa Radwanska, Dr. Ewelina Worwag and Dr. Adam Cios for their commitment to work on these issues.